The Strategy Boost from Coppersound is more than just a dead ringer for the iconic guitar its visuals mimic. Using an op-amp based circuit, Strategy Boost has enough volume on tap to drive your favorite pedals and amps as hard as you would ever need it, but the tone knob is where the magic lies. You can adjust it to add more girth and harmonic richness or to thin the sound out a little bit, fooling the audience into thinking your Les Paul is a Strat. 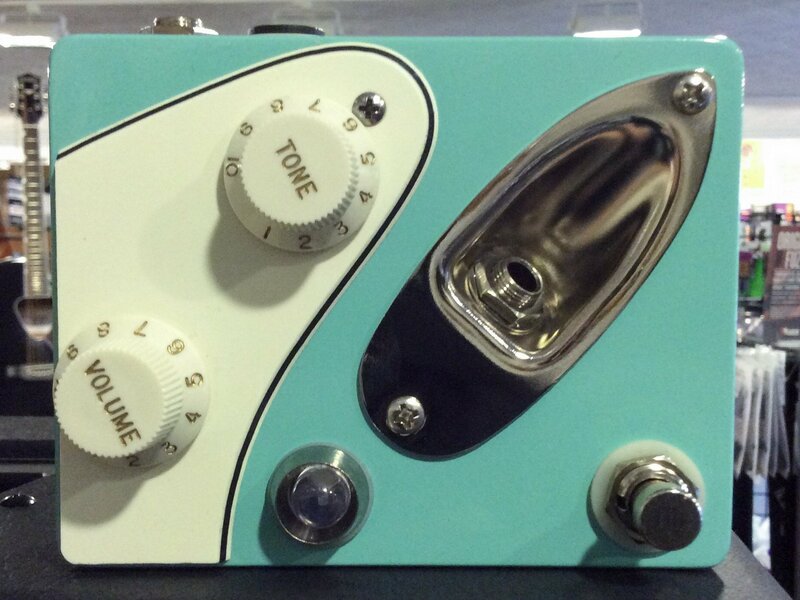 The Strategy Boost is a fantastic tone shaping tool for just about any situation.